Stainless Steel Nails – 50mm x 3.35mm Annular Ring Shank Nails. The stainless steel nails supplied by BS Stainless are of industry-standard and are primarily used in the manufacture of timber frame buildings. From stock, we offer Grade 304 (A2) Stainless Steel Annular Ring Shank Nails of 50mm x 3.35mm in size, though additional sizes and grades can be produced to order. Standard 500 kg to 1 tonne packs avialable from stock for smaller quantitys from 1kg upwards see BS Fixings whre you can buy these online for next day delivery. 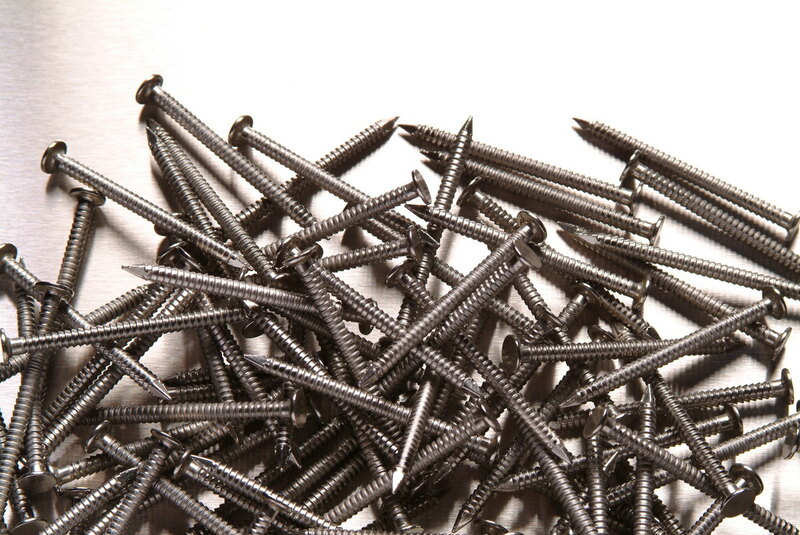 These nails are designed to last and out perform other alternatives such as Galvanised or sheradised nails. The size of the nails fits perfectly standard size timber frame ties manufactured by several companies in the UK. In recent years there has been a growth in demand for timber frame buildings in the UK previously widely used in Ireland and Scandanavia. These screw will last the duration without corroding or head loss. The rings add extra grip to the nail. Alternative grades or additional sizes, can be manufacture to order subject to minimum quantaties call our expert team, call us on 01772 337555 or email sales@bsstainless.co.uk.